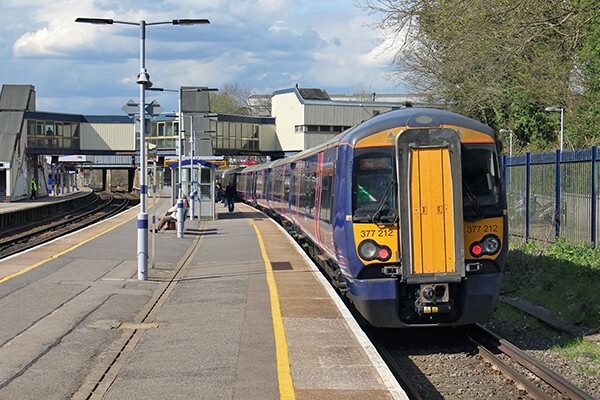 Over the spring and summer the 08:20 Luton - Sevenoaks and 10:30 Sevenoaks - Bedford have been booked for class 387 units, breaking the steady procession of Class 319s down this route. In addition there have been a few variations leading to 377s and 387s working in. 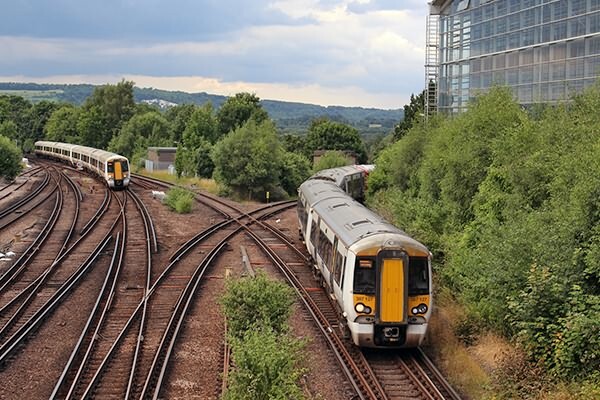 (above and below) To kick off with Class 377s, on 13th April, following severe disruption through Blackfriars the previous evening, 377212 and 377215 worked in on 13:50 West Hampstead - Sevenoaks for the 15:30 Sevenoaks - Blackfriars. 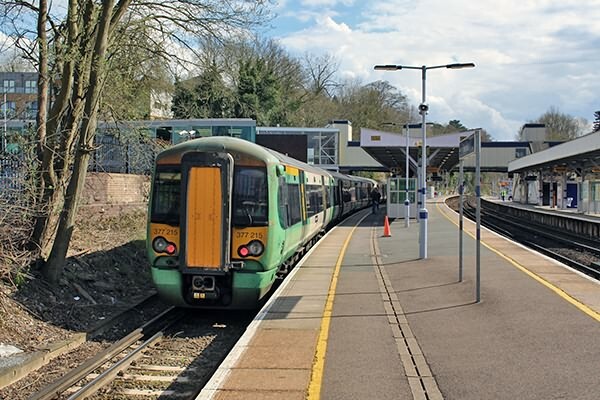 This blue and green formation is pictured turning round at Sevenoaks. (above) On the 18th May 387113 and 387103 at Shoreham working the booked 387 diagram on the 08:20 Luton - Sevenoaks. 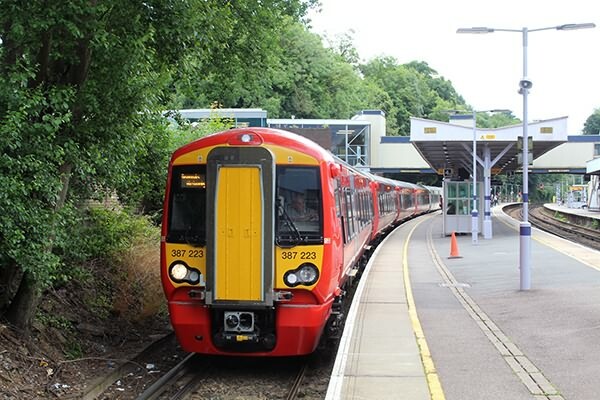 On 13th July the 15:24 West Hampstead - Sevenoaks which forms the 17:00 Sevenoaks - Bedford service was formed of 387127 and 387223. It is suspected this was due to a shortage of 319s after several have been put into store for use with Northern. 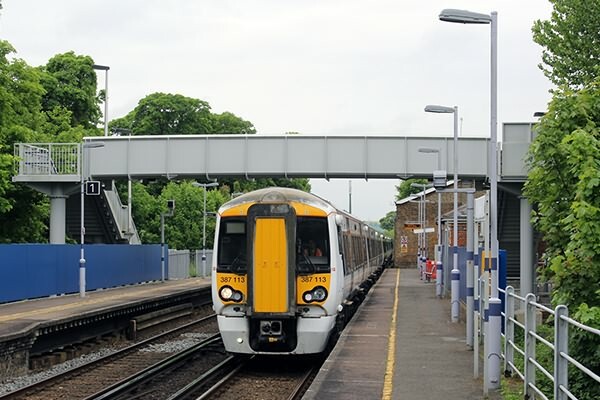 Whilst the class 700s have not entered service as quickly as expected, those which are now in use must have created a few Class 387 units spare, which would explain this pair working to Kent. Above, also note 375805 and 375815 simultaneously approaching Sevenoaks working the 16:20 Charing Cross - Hastings, the infamous "Amber Rudd Seaside Express". Please also see the subsequent Class 700 to Sevenoaks.